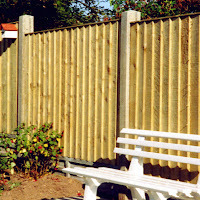 This Featheredge Panel is very strong and is made up from entirely pressure treated timber. 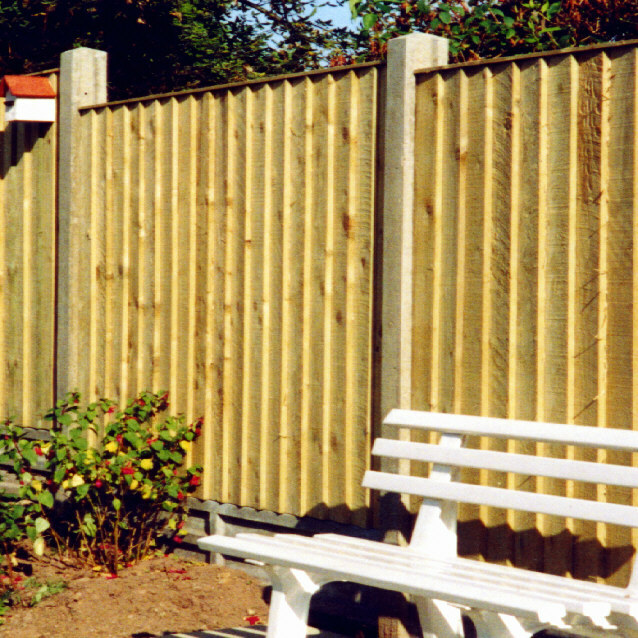 We use heavier framework and thicker Featheredge boards than all other manufactures of a similar panel. It consists of a complete frame of 40mm x 40mm (1½" x l½") timber with two centre battens on 1.8mtr and 1.5mtr (6ft and 5ft) panels and only one on 1.2mtr and 900mm (4ft and 3ft) panels and a integral gravel board 40mm x 87mm (1½” x 3 ½”) The panel is covered with 18 featheredge boards that are cut from 125mm x 22mm (5" x 7/8") timber to give a generous overlap and is complete with a 63mm (2 1/2") wide capping rail wide enough to cover the frame and boards. We use Heavy Mechanical Galvanized (not zinc plated) nails to construct our fence panels. This panel is also available in bow or dip top, scalloped top or scalloped top with trellis insert. Wilfirs manufacture the highest quality & specification Featheredge Board Panels available in the UK no other manufacturer can match our full specification.